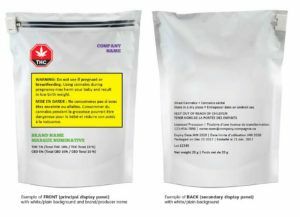 A sample of Canada's proposed recreational cannabis packaging. The new regulations, in many ways, are more restrictive than the packaging rules for tobacco, a disappointment for marijuana companies that had been lobbying for rules that would allow for clear branding of their products. 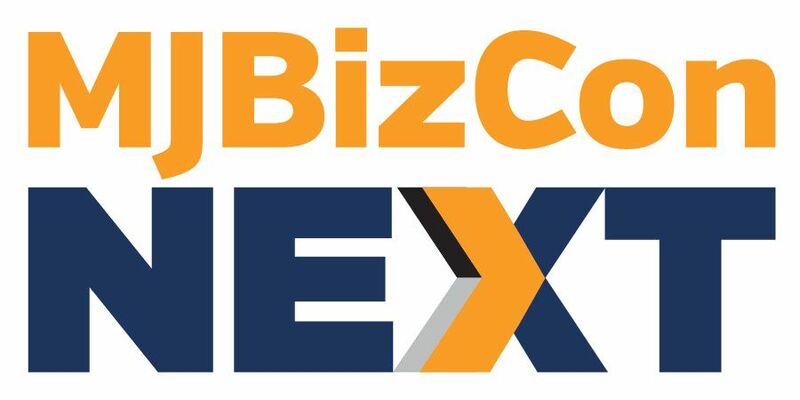 Industry observers are concerned the policy will make it harder for companies to carve out meaningful market share from the black market after recreational marijuana is legalized later this summer. “The central objective of legalization is to replace the vast and sophisticated black market with a regulated and safer one,” Aurora Chief Corporate Officer Cam Battley told BNN. “By restricting our branding and treating us more like tobacco than beer and liquor, that will hold us back from being able to establish the brand. Displays one of 14 health warnings. Contains a background with a single, uniform color. Restricts fonts to a small size and uniform color. Restricts brand logos to a small size. Restricts brand name text to a small size and uniform color. Justin Cooper, co-founder and CEO of Green Planet Wholesale, said the packaging requirements are inconsistent with the government’s public policy goal of overtaking the black market. “A stop sign with THC on it? Get serious. It’s fearmongering,” he said. “It’s going to be federally legal. The rules also call for only one “brand element” on the package, also restricted in size, in addition to the brand name. The regulations, separate from the marijuana legalization bill currently before the Senate, will be enacted after the Cannabis Act wins final approval. So… MJ LP spokespersons (AKA “Lobbyists”) don’t like the packaging? And they want to push back back against what they describe as onerous over-regulation? Huh. Where have I heard this before? Oh, yeah! It was Big Booze, Big Tobacco, and Big Pharma. Pushing Ottawa around, to the detriment of consumer health, and diversion to adolescent users. Great track record, Big Weed! You’ve made us proud yet again*. I wonder what these “analysts” will have to say about CDN MJ legalization being pushed back to 2019 (October election, anyone???). *See overvaluation crisis in CDN MJ LP sector: LPs are trying to apply already-vague accounting rules to a new industry. Companies have to put a value on their marijuana plants for accounting purposes, even though pricing and future demand are not yet known. As a result, financial statements rely heavily on managers’ estimates, and are wildly inconsistent. Anyway, there’s other factors to consider, of course, but there’s no way in hell Aurora or Canopy are worth anywhere near $10bn, or even $1bn, and it is highly irresponsible, or grossly misinformed, to either encourage or permit investors to assume that they are. Further, you spoke of “industry observers.” I’m an industry observer, and what I see is alarming: the entry of Big Pharma has begun (e.g. Novartis, dba: Sandoz, in bed with Privateer); Big Tobacco is moving in (Alliance One International Inc., announced its subsidiary Canadian Cultivated Products acquired a 75 per cent equity position in Charlottetown-based Canada’s Island Garden; Jan. 2018); Big Booze already in on the ground floor (Constellation Brands–e.g. “Corona products” buying in late last year). Could this have been averted? Yes. Did Trudeau, Morneau, Blair, Goodale, McLellan et al. have the opportunity to prevent such a whirlwind of greed? Yep. Did they bother to do ANYTHING to protect CDN consumers? Nope, unless you count TALKING about protecting CDN consumers, while their peers invested heavily in CDN MJ LP sectors. There’s that sense of pride I was talking about (see post above), when a bunch of plutocrats violate their oath of public office and betray CDNs. And they said the black market was going to die? Keep everything flat, colorless, compressed, barely able to breathe, tiny print, health warnings, THC stop signs. The stop sign is beyond the pale, pure prejudice, designed to disadvantage the industry. It shows their state of mind. This is not about a fair distribution of the fruits of the cannabis plant but about government squeezing, blocking and taking from the trailblazers and innovators who kept the plant alive during prohibition, opening the paths to corporate take overs where the “real money” is at.